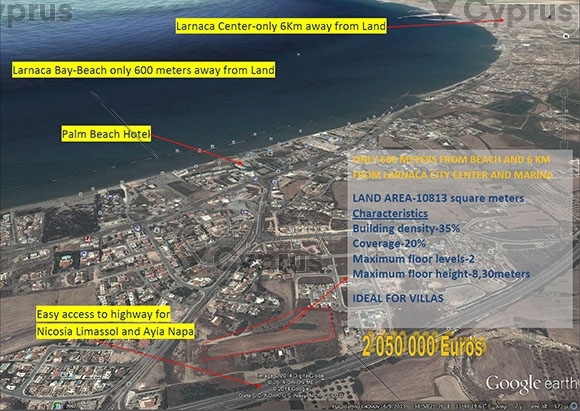 The plot is advantageously located in the Larnaca Tourist Area and is within walking distance to the beach. 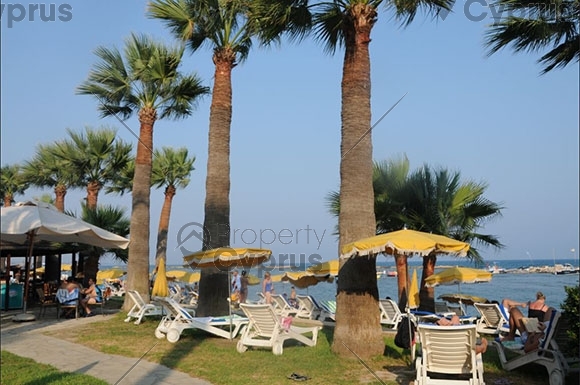 The actual location is Oroklini in the area of Asprolakkos. 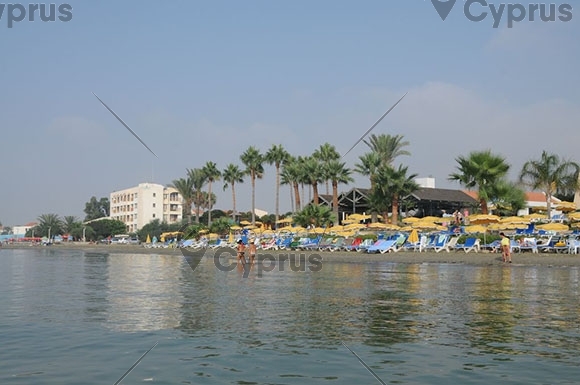 The land is north of Larnaca town centre and only 600 meters away from the Palm Beach Hotel with its award winning beaches. The Palm Beach area has a strip of hotels, restaurants and numerous entertainment facilities which are located on the beach front. 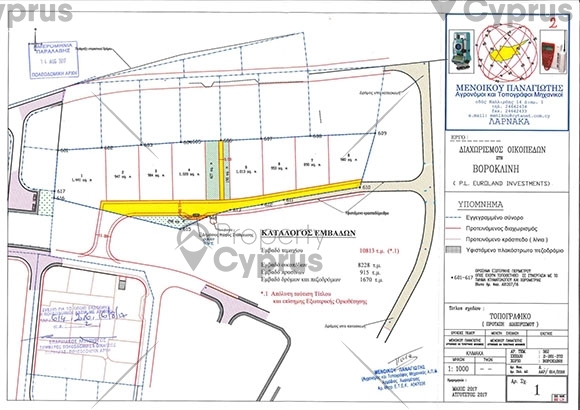 The land is strategically within easy access to the main motorway that connects with all major cities in Cyprus and only a 15 minute drive away from Larnaca International Airport. Easy access to the main road takes you to Ayia Napa which is a popular beach resort, in 25 minutes and Nicosia is only half an hour away. 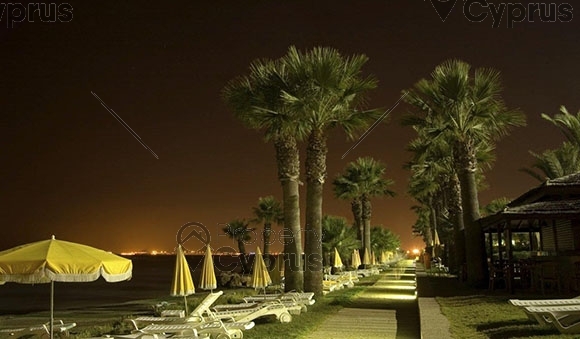 Excellent private and public schools for all age groups as well as universities and colleges for higher education are located in and around Larnaca city. The land is close to all amenities and a short drive from Larnaca city centre which offers all that is expected in a large modern city. The land has a total area of 10813 square meters and has existing permission for sub dividing into 8 large plots. This land is ideal for the development of deluxe villas. Building density is 35% and building coverage is 20% with a maximum of two floors. The land is flat and currently has no buildings or other structures. The low density in this area ensures that only deluxe villas can be built. 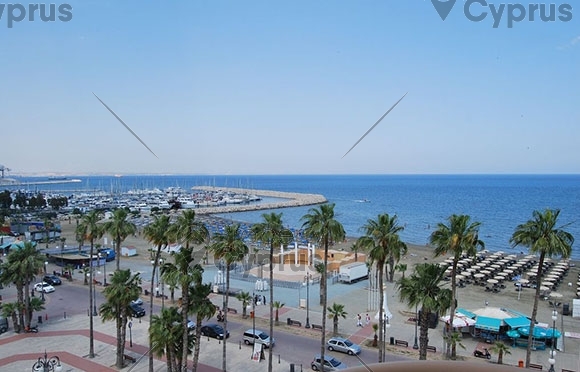 The property is situated in a sought after area, within walking distance to the beach. Up to 17 villas can be built on this land and this could prove to be the ideal investment for anyone who wishes to develop this land. Within a few years there will be a new Marina and Waterfront completed in this area.